Share the post "What is permissioned-on-permissionless?" This entry was posted in Bitcoin, Cryptocurrency, Distributed ledger, Economics, Science & Technology, Theory and practice by Tim Swanson. Bookmark the permalink. 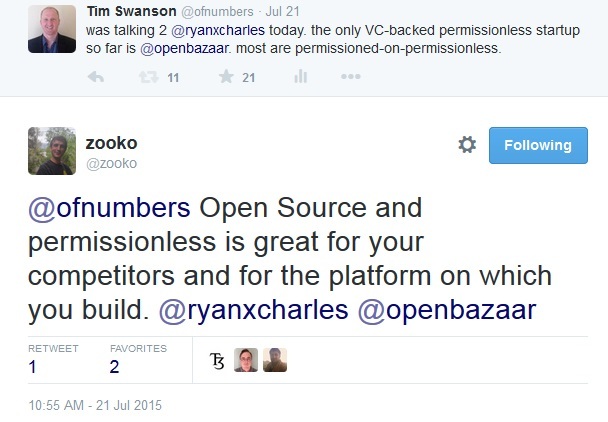 I think that’s slightly unfair; to overuse an overused analogy, nearly all modern startups are permissioned-on-quasi-permissionless (eg. Facebook over HTTP), and that’s in fact the exact defense that many of these companies will likely actually provide. 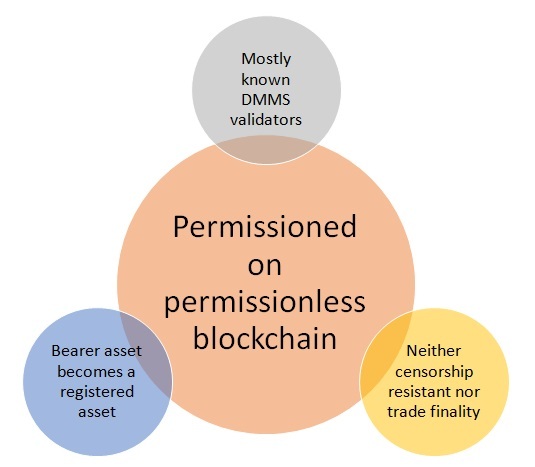 So far, we have seen zero movement toward the actual underlying protocol adopting “permissioned” properties, even if it is becoming centralized, and the entire set of arguments in favor of decentralization applies much more strongly to “base layer” systems than it does to peripheral services (although Silicon Valley VC dogma certainly is to try to make your proprietary service a base layer and as essential as possible so you can earn huge revenues off of it). I would also not call Gavin Andresen a vested interest; I honestly think he is simply trying to make Bitcoin maximally useful, though the corporate backers of 1 MB and the corporate opponents of 1 MB both are. I think there are many distinct battles here. One is for the wide adoption of Bitcoin the currency. Another is for the wide adoption of a particular public ledger, or public ledgers in general, for applications. A third is for a shift in technology. 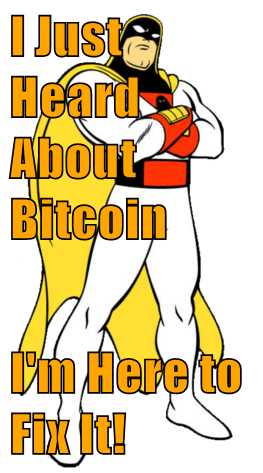 Bitcoin _currency_ maximalists should not care about Coinbase, as long as it’s still using BTC the currency; after all, the real battle is about separation of money and state: http://wallstreettechnologist.com/2015/05/30/why-you-should-be-a-bitcoin-maximalist/ . Advocates of public blockchains have valid points that I’ve expanded upon and will expand more upon elsewhere, but those points depend heavily on the specific system in question, eg. Ethereum and Bitcoin are very very different from each other. And people interested in the technology shouldn’t care too much I suppose, except that the big money these days seems to be in permissioned ledgers for banks. But I share your (seeming?) disappointment about the lack of “permissionless on permissionless” companies, though I’m hoping we’ll see significant breakthroughs especially in the “limited trust on permissionless” (eg. multisig, centralized provider only as backup, smart contract oracles and arbitrators, etc) space in the next year. I don’t believe that permissioned/permissionless is sufficient to capture the full spectrum of available design parameters. Perhaps there is a future post that addresses the differences between censorable/uncensorable, permissioned/permissionless, known/unknown validators, etc? I think another hugely interesting question is how forks are today real chosen. Technically it should be by the miners with the highest hashing power, but in reality long)term forks are chosen by the set of permissioned on permissionless entities holding the most BTC value. 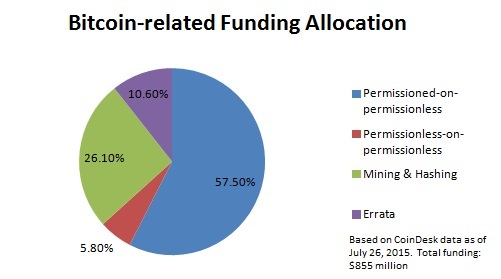 Effectively the BTC IOU issuers control the forks. This is because if they simply don’t jump on the miner-determined fork with the most hashing power, their users are stuck with whichever fork they chose. This was especially apparent how the block size debate evolved. First miners talked some, but at the end Chinese exchanges and a few western wallet providers said what they will go for. Miners can mine and earn all they want, if they have no place to cash out at market prices its a losing proposition for them. I would even go as far as to say that the role of miners isn’t anymore a TTP within a DMMS, the hosted wallet and exchange providers do that. It’s simple DMMS time stamping and immutability. Miners could at most veto any decision by the wallet and exchange providers, not actually be the transaction executor. Ripple is definitely permissioned (or some semantic derivative of such) due to the nature of the protocol. If anyone chose vastly different UNL they would end up on a fork, effectively a different permissioned ledger. If you remove any of the core nodes from the UNL you run the risk of landing on a fork. The bigger the network becomes, the more central the initial core nodes become, and the higher the risk of removing them from any UNL. This means that these core nodes effectively amass “consensus capital” by simply being first or early. Contrast this to Bitcoin where miners need to continually spend money to have even a stable percentage of blocks. This means that these core UNL nodes really have a higher or disproportionate long term responsibility for transaction execution and propagation within the network. They can exist without the network, but the network cannot continue undisrupted without them. If I was a regulator, I would see this as pretty strong support for the permissioned argument. Additionally, in Ripple there is no objective way for people to prove immutability of the ripple Ledger. POW essentially measures entropy (the passage of time) indirectly. Pure POS or Ripple style systems cannot prove the chain’s history objectively (there is one more idea I know of that can do POW and therefore entropy measurement without “computer computation” but that is besides the point right now). Because old nodes by default are included in the UNL they are the game theoretic focal point. The larger the network becomes the more inertia there it. At some point I becomes straight out dangerous to the network to remove the core nodes from their UNL. This means that Ripple isn’t just more centralized than Bitcoin but also less agile when it comes to reorganization of the DMMS set. Effectively the larger the network becomes the more unchangable the old core nodes become in the DMMS. This makes the nodes a primary target for regulation. That said, Bitcoin is turning into the same thing, just without the possibility of the BTC IOU issuing nodes (e.g. wallets and exchanges) to get to a fork consensus in a transparent and secure way (as explained above). You can’t get rid of topology. I think this is a tendency of any value transfer system, be that permissioned or permisionless, as the value doesn’t come from some sort of token or commodity, but by who redeems the token (meaning who treats it as an IOU, meaning a debit-credit relationship). I think in the long run the best we can do is create a protocol rather than a state machine (all blockchains are state machines, not protocols) which makes it possible for individual permissioned and permissionless state machines with their own blockchains to agree among themselves in a transparent consensus (which will still be topological) on what the protocol-level consensus fork should be. Please excuse me for the techno babbel, but I don’t think that the lingo should be digested further than this (without loss of meaning). I can see commercial use cases for a nakamoto signature and censorship resistance. In say the sharing economy or crowd funding. How this gets implemented needs work. Because the fact that bitcoin was created with the intent of being cash, it has a ton of design choices that don’t do this so well. I think this was Peter Todds insight behind unique bits. Often it’s helpful to declare there is only one of something. This biometric marker only had one vote. This is the state of my balance sheet today for all to see. This was the state of the bill of lading when it arrived at a port. Where I’m most interested is in the design specifics. If you want to state something exists and there is only one (e.g. A diamond), what is the optimal architecture to then link that to the owner or insurance details? These debates aren’t being had. I’m struggling to force them. But to me they’re both THE evolution and glaringly obvious. Unless I’ve missed something? Perhaps the relatively low funding of pure-permissionless startups is more coincidental and less causal…or perhaps simply more a reflection on the founders and/or the business models. Certainly, it seems easier (certainly more tried/proven) to monetize a customer that you know and have on “account”. 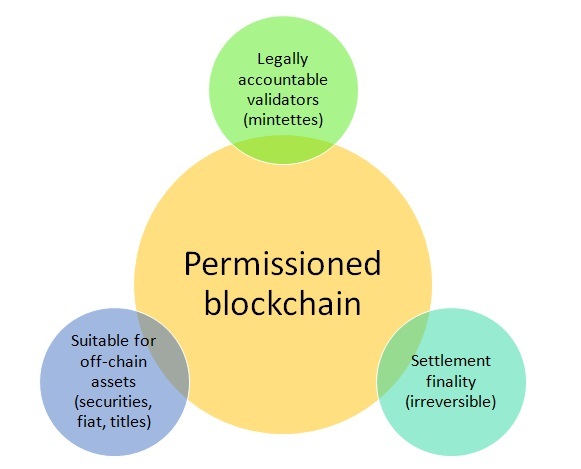 And, reengineer the known/big world might be more fundable (ie: have a forecastable payback)…eg: providing private blockchains to banks so that their clients can settle trades is P-o-P-o-fP (permission on permission on federated permissionless?) but there may be more money in them thar hills than in giving away bitcoin wallets.